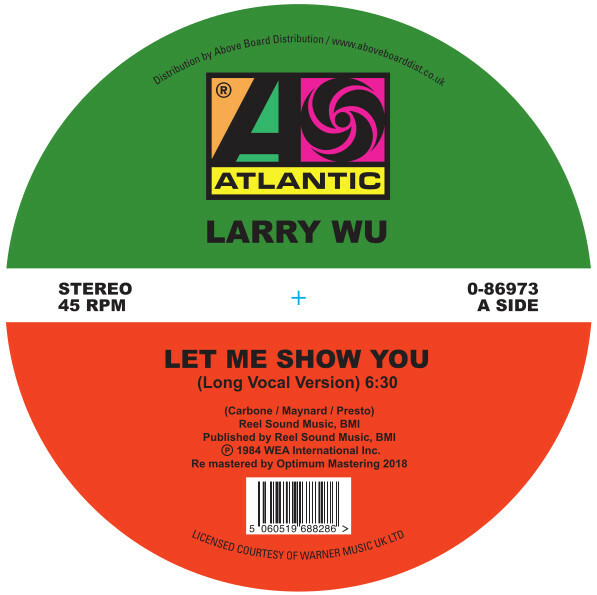 Larry 'Wu' Wedgeworth dropped this sublime piece of Boogie in 1984 on the Atlantic label and both sides have long been firm favourites with serious Soul aficionados for many years. 'Let me show you' was one of numerous major label dance records from that golden mid 80's post-Disco era that caused a storm in the underground clubs of the day. This one's long been sought after on 12" and has been bootlegged numerous times, often with inferior sound quality and no care taken, not this time though, this high quality, official, 100% legit reissue has been lovingly remastered by Above Board distribution in conjunction with Atlantic records from the master tapes. Beat that. Both the original vocal mix and dub version are included here with og Atlantic label artwork. Don't waste your time on the fakes! This one's the real deal!